Retail rendezvous offers a mind-boggling array of shopping opportunities. Get to know the desert without leaving the city. Though Arizona was one of the last states to be admitted to the Union, its history stretches back into the dusty haze of time. Great shopping, good food and fun for the kiddies makes Mills the one-stop family spot. Exclusive shops and restaurants in a beautiful outdoor setting. Arizona's finest family fun and thrill park. Spend a day with fire in your eyes. Many beautiful animals, some endangered species, can be seen here. Mysterious prehistoric Pueblo shares its secrets. An architectural masterpiece constructed from all-natural local materials. A cozy university town with good eats, snow-capped peaks and fragrant pine trees. Guaranteed to exceed your expectations. Animatronic dinosaurs and full-scale dioramas make for educational family fun. Laden with history and whiskey bars, this mountain town still attracts partiers and history buffs. When it comes to recreation, family fun and nightlife, there are numerous things to do in Scottsdale to keep guests of all ages entertained, all vacation long. We've done the work for you, so check out our Scottsdale information page to pick and choose which attractions best fit your interests. Whether you're seeking an exciting thrill park, the best shopping in the area, or an educational museum, our list of things to do in Scottsdale has it covered. There is also Scottsdale information on outdoor activities in the surrounding areas and towns, so use the information provided to make the most of your stay at 3 Palms. Just because you're on vacation doesn't mean you have to take a break from learning, and there are plenty of educational things to do in Scottsdale, like visiting one of the many Arizona museums. History buffs will take pleasure in strolling through the Arizona Historical Society Museum, where guests can learn the history of the land they're visiting. The Pueblo Grande Museum and Archeological Park gives guests a more hands-on experience while they learn about the prehistoric pueblo. For guests seeking more entertainment-focused things to do in Scottsdale can visit the Hall of Flame Museum of Firefighting for a hot display of in-your-face fire exhibits. And for the paleontologist in you, notice the Mesa Southwest Museum on our Scottsdale information page, featuring animatronic dinosaur exhibits and full-sized displays of scenery. For leisurely guests staying at 3 Palms, there are plenty of things to do in Scottsdale, from relaxing activities to exciting adventures. Use our Scottsdale information to figure out which leisurely activities are calling your name. Guests seeking a day full of thrills can head to Castles N' Coasters, the high- energy thrill park. All ages will enjoy the rides, roller coasters, games and food at these thrill parks. If shopping is more your scene, Scottsdale Fashion Square and Arizona Mills Mall are great destinations, full of shops, food vendors, sit-down restaurants and department stores. Find your preferred choice for fun with our Scottsdale information. Nature and outdoor-loving visitors will be happy to know there are plenty of things to do in Scottsdale out in the fresh Arizona air. Learn about native growth on the desert land at the Desert Botanical Garden, or come face-to-face with several animal species at the Phoenix Zoo nearby. We also provide Scottsdale information on excursions in the world-famous Grand Canyon Park, for guests seeking beautiful natural sights, breath-taking views and an unforgettable experience on their vacation. Take advantage of the various things to do in Scottsdale that will please an array of personalities. Scottsdale is home to various venues for cultural arts and sports, near 3 Palms. Guests seeking things to do in Scottsdale focused on live music and performing arts have options such as Phoenix Symphony Hall and Scottsdale Center for the Arts, featuring ballet, theater and classical music performances. For sports related things to do in Scottsdale, catch and Arizona Diamondbacks game at Chase Field or a Phoenix Suns game at US Airways Center. There are so many cultural, educational, leisurely and adventurous things to do in Scottsdale that deciding which ones to fit into your schedule may be the only obstacle. 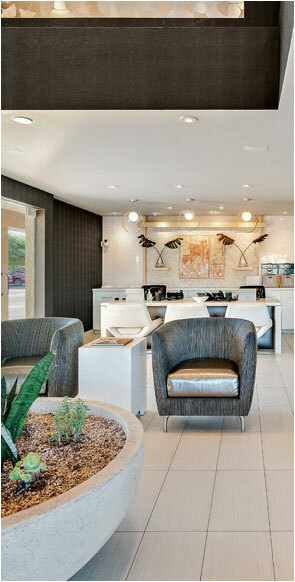 Use the Scottsdale hotel information provided to narrow down your options.